Meet our New Ambassador Marijke! Marijke is from St.Anne's and is active in 4-H, and although she does not live on a dairlyfarm, she has gained through 4-H experience taking care of a variety of farm animals. In addition some strong values that she will apply throughout her life. 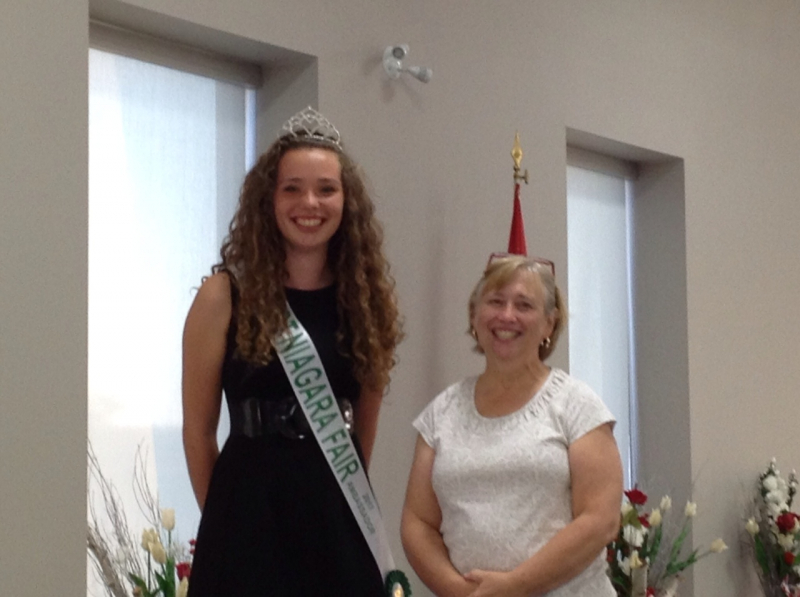 She is very excited to be representing the WEST NIAGARA FAIR as our new Fair Ambassador this weekend. The official ceremony will be this Friday, Sept 8th, 2017 at 6pm at the Grand Opening Ceremonies at the Community Centre Stage, where our current Ambassador, James Gilchrist will be stepping down. James, thank you for all of your hard work. As you walk around the fair, be sure to congratulate both Marijke and thank James and be sure to say Hello!